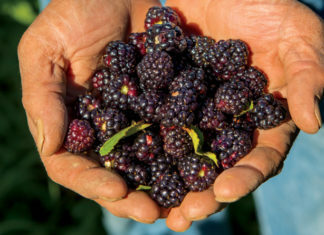 Known as the Golden Triangle, Montana’s north central region is continuing to grow a reputation as a top spot for agricultural production and processing as well as ingredient processing. Thriving food- and agriculture-based companies across the Golden Triangle are expanding their operations, including Pasta Montana, a dry pasta manufacturer owned by Nippon Flour Mills that opened a new $6.5 million processing line in August of 2017. Pasta Montana’s 91,000-square-foot facility, which employs 115 people, will increase production capacity from 55 to 80 million pounds of pasta annually – a 28 percent rise. “Our new production line will move 4,850 pounds of pasta per hour and operate 24 hours each day, enabling us to continue to grow our staff,” says Randy Gilbertson, Pasta Montana’s COO. Another company expanding its presence in the region is Montana Eggs. In September of 2017, the company opened its second site in the Golden Triangle – a new $9 million, 58,000-square-foot egg grading facility in Great Falls that will process more than 280 million eggs annually from a supply of 1.2 million chickens. In addition, Montana Specialty Mills will join the list of companies putting down new roots in the Golden Triangle this fall. In 2017, the company broke ground on its new $20 million, 20-acre oil seed processing center at the GFMDA’s 197-acre AgriTech Park that offers customized heavy industrial lots ranging in size from seven to 300-plus acres. Open since 2016, the AgriTech Park is the region’s first industrial park to offer ready-to-build lots with access to utilities and rail. Due to its instrumental role in attracting and retaining businesses in the Golden Triangle’s food and agriculture industry, the GFMDA was recently selected as one of the state’s four Food & Ag Development Centers bus.